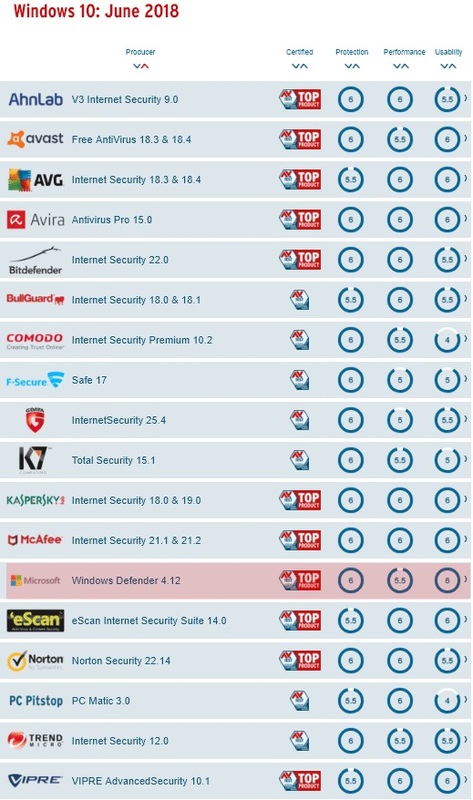 German test lab AV-Test recently tested 18 different home user Anti Virus products, 11 were rated at “Top Product”, surprisingly among it is Windows Defender which comes free with Windows 10. The security products were rated on protection, performance, and usability. An application could score 6 points for each test item, making the maximum achievable score 18 points. Protection was tested by feeding the security products with 225 zero-day malware examples and nearly 5,600 malware examples that were discovered in the last four weeks before the tests. Zero-day malware is defined in this test as malware that has been discovered by AV-Test no later than within 24 hours before the test The average rate of detection of zero-day malware was 99.6%. In total 13 security products achieved the maximum score of 6 points on the protection tests, 5 products scored 5.5 points. Windows Defender, the free built-in antivirus tool of Windows 10, achieved a detection rate of 100% in both tests and thus also scored the maximum 6 points. Of the 18 tested home user security products, Avira, Kaspersky Lab and McAfee scored the maximum 18 points. 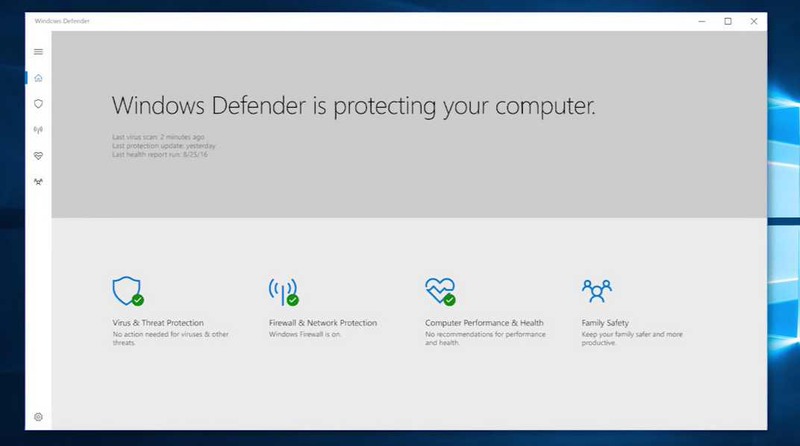 Eight other security products scored 17.5 points, amongst them is Windows Defender.